We LOVE all animals here at OCD Home Carpet & Tile Cleaning and don't mind cleaning up after them either. 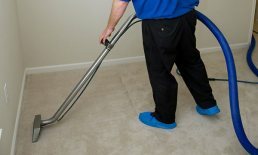 We provide the very best pet urine removal carpet cleaning service in Orange County. Whether it's an emergency or a long standing issue, give us a call today, and our pros will relieve your stress and return your home to fresh. Most pet urine cases can be fully rectified through topical deodorizes, on-contact neutralizers, and pad flushing equipment that we use to sanitize and deodorize the contaminated area. We then steam clean your carpet using our proprietary method and advanced technology that gets carpets dry and spotless as quick as possible. Pets are usually regarded by people as a member of the family, because they are ultimately loyal and lovable. However, keeping a pet in your home may come with its disadvantages, most commonly the carpet stains and odor. 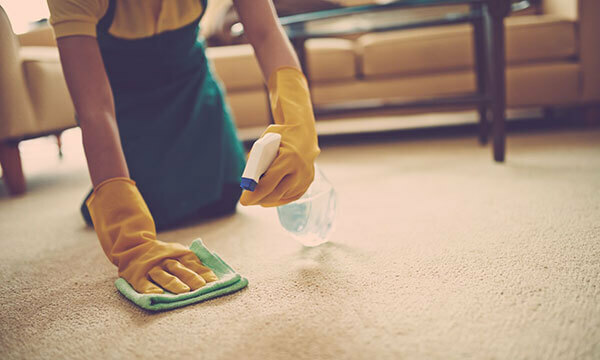 Even if the pet stain and odor has settled into the carpet fibers, penetrated deep into the padding, or leaked onto your upholstery or tile, we can still provide expert carpet cleaning to thoroughly remedy the problem. If the urine has penetrated the backing and seeped into the padding, we are able to pinpoint the damage using moisture meters and black lights. We can then effectively rectify the issue by conducting a "pad flush". We are able to extract pet accidents, excessive spills, stains, and smells, even if they have aged. 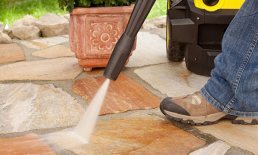 In addition, we can effectively remove all oils, dirt, and other pollutants that can damage your carpet fibers, making sure your carpet is clean, healthy, and safe for your family. Give us a call today for an accurate assessment of your pet urine cleaning needs. We offer honest, upfront prices for homeowners and commercial businesses throughout Orange County, including Orange, Yorba Linda, Villa Park, Anaheim Hills, Placentia, Tustin Ranch, Irvine, and nearby areas. Our carpet cleaning services are backed by an industry-leading "Every Inch Guarantee". This means that if you aren't happy with the results, we will re-clean requested areas, redo the entire job, or refund your bill completely. We are also a Google Guaranteed Partner, which means Google guarantees our services for up to $2,000 per customer.